Graduation season is just around the corner here in Omaha, and after four years of academic tests and hard work, it’s time to celebrate! From unique decorations that celebrate your accomplishments to delicious graduation party food, there are tons of fun ways to make your party stand out without breaking your budget! 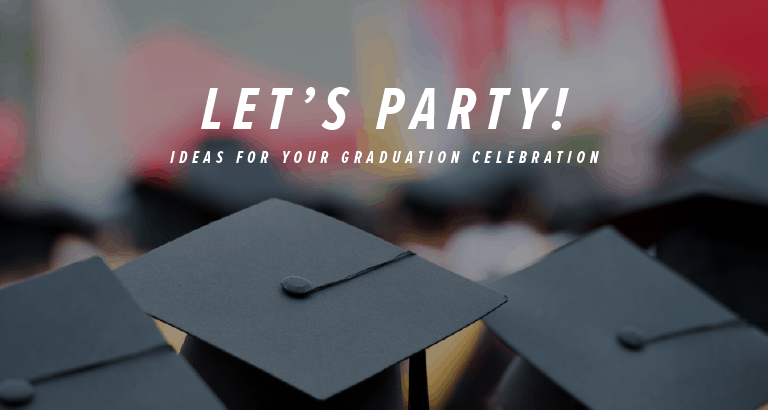 Here are a few tips for a great graduation party! When planning your graduation party, make sure to choose a location with enough space for your guests. Budget-friendly options for venues include your home, your backyard, or a local park. Be sure to have enough tables and chairs for all your guests, as well as long tables for food and drinks. A plastic kids pool full of ice is a great option to keep bottled or canned drinks cool. If your home isn’t big enough, or if you would rather avoid cleaning, renting a party room at a club, event venue, or restaurant is a great way to keep your guests happy and your home spick and span! If you aren’t a fan of the usual streamers and balloons, there are plenty of other decoration options that are budget-friendly and still give your party a great look! Skip traditional centerpieces on tables and use books instead. You can make book covers from paper grocery bags, tie ribbons with your school colors around them, and stack two or three for cute theme-appropriate decorations. You can also wrap napkins around utensils with black ribbon to make them look like little diplomas! It’s a celebration, and you can’t have a party without cake! 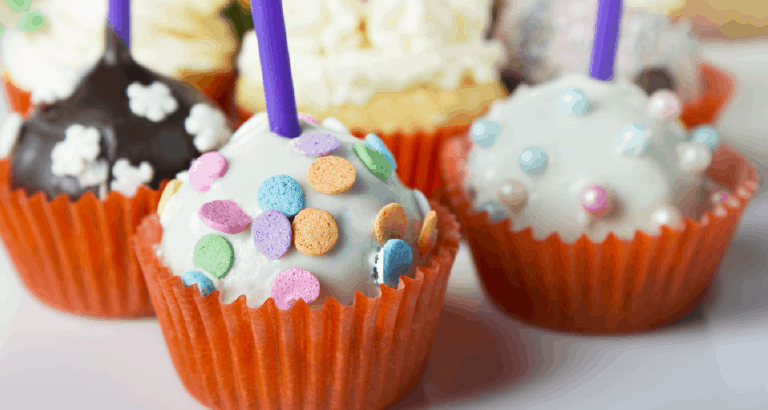 But if a big decorative cake is outside of your budget, opt for cupcakes or cake pops instead! They’re easy to make at home, and they’re the perfect finger-food dessert! You can even get crafty with the frosting so your dessert feels more unique to you. One way to make your graduation party memorable is to have a photo station! Find a blank wall and grab some hats, feather boas, glasses, and other props from a party store. You can also use items that represent your specific school. Get friends and family together and start snapping! Pro Tip: Use a Polaroid so guests can take their photos home as a party favor or so you can save them in a scrapbook! Make a great #hashtag to share with your guests when they upload pictures to social media. That way, you can find all of the photos from your party later! Be sure to write your party hashtag on a small framed chalkboard near your party entrance (or your photo station) so everyone can see it. Whether it’s a high school or college graduation, choosing delicious graduation party food will help make your event memorable. Keep it local with an Omaha caterer that has cuisine and unique dishes your guests will love. While other parties may stick to finger foods and appetizers, your catering choice gives you a chance to wow your guests. Also, you can spend more time with your guests instead of in the kitchen! Get Your Party Started with La Mesa! Want to make planning your graduation party easier? Let La Mesa Mexican Restaurant do the work! Not only can we deliver catering to your party’s location, we can also host parties at some of our restaurants. 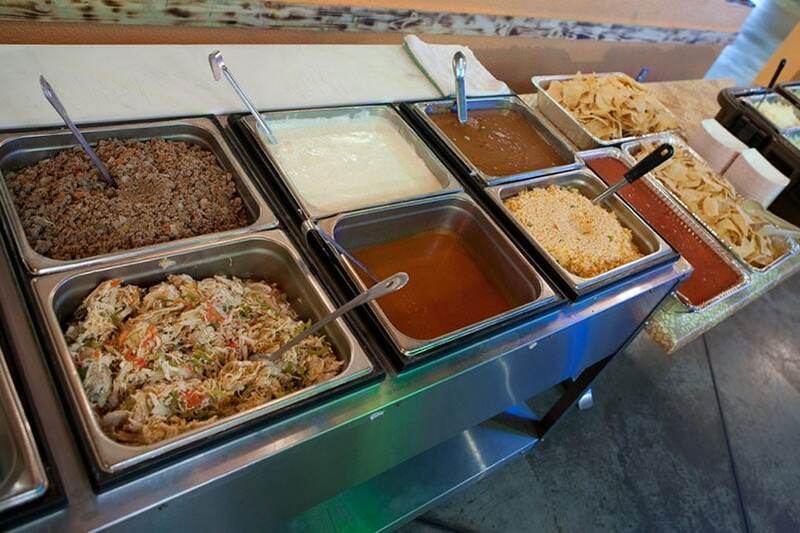 La Mesa Mexican Restaurant offers buffet-style catering that can be tailored to your preferences. Enjoy your favorite items and discover new dishes with our fantastic combo options. With six locations throughout the Omaha metro, including Council Bluffs, there’s a La Mesa near you! Did we mention we include chips and salsa, beverages, utensils, and dishes with our catering? Bonus! Buffet-style makes it cost-effective and easy to choose multiple dishes. La Mesa catering has items that are vegetarian. We can do a Nacho Bar, if you don’t want a full meal. Our combinations appeal to all kinds of tastes. Bellevue: Capacity about 175 people. Call (402) 733-8754. Papillion: Capacity about 30 people. Call (402) 593-0983. 110th & Maple: Capacity about 60 people. Call (402) 496-1101. If you’re planning a party and don’t feel like making food for your guests, contact La Mesa Mexican Restaurant! Our catering is simple, affordable, and delicious!